WHAT IS AMAZON PPC – 9 MAJOR BENEFITS OF AMAZON PPC? Amazon PPC advertising is a correct podium to explore your products sells online. With proper management of PPC campaign, for sure you are going to sell not only with the hike in ranking but also with faster inventory sells. What exactly Amazon PPC is? Any investment or business where you invest the most important thing is where you know down to the penny how much you will earn? Sellers have started selling through Amazon FBA and making the lives and want to learn how accurately predict the future profits. For Amazon FBA sellers one initial cost estimation has long been a mystery: but with PPC it can be predictable and measurable too. PPC can have a major – and positive – impact on most businesses and brands. If you aren’t doing any PPC marketing, you’re likely losing out on valuable traffic and revenue. For your Amazon PPC, you have options based on your strategy, i.e. Automatic Campaign or Manual Campaign. It is most likely to choose Auto Campaigns which starts out to collect data, as Amazon will trigger your products for search terms it believes are relevant. This lets you know which one converts the best. And in manual Campaign we have to provide keyword according to that keyword product will be visible to the customer who is willing to buy hear we have to give a bid value for the Camping. Every month there are millions of search on Amazon Paid ads is fundamentally based on an auction-based model. Seller set their bit that they are willing to pay for one click and the higher the bid will get a chance to display. This model is very useful for the retailers’ shoppers. The Amazon PPC is a special auction type-where the person who bids the most doesn’t always get the most visibility. Ads are ranked on a few different factors. These factors are also notified for appearing on SERP page. Now organic search and sales history are the two biggest drivers of where Amazon’s algorithm positions your product in their search rankings according to the new update of Amazon if your product is getting more sale from the external links it will get more higher rank rather than getting sell from only PPC. It is simple to push the best product on the top. Organic sales always key factor to get the higher rank. Let’s get familiar with Amazon Key Metrics. 2. The product has the typical Amazon conversation rate of 10%. This means for every ten people who click on your product, first of those people makes a purchase. 3. Your target ACoS is 25% of your sales price. Attributed Sales: Your sales data can take up to 48 hours to populate your product. The total product sales generated within one week of clicks on your ads. Hence, the sales data is not available in the Today date range and may be delayed in the Yesterday date. The individual sales totals for advertised products and other products in the Campaign Performance report are visible. Amazon calls the cost per conversion as “Advertising Cost of Sale”. The information you will need to know to understand what number works for you: selling price, the value of goods sold, all FBA fees and miscellaneous variable cost. To finish up – you absolutely must know your ACOS and how to influence this number. ACOS: ad cost of sales (ad cost over sales). It is calculated as Ad cost: Average CPC of clicks * the number of clicks. Sales: How much revenue was generated in your store after an Amazon Ads and check whether it helps to generate more sales or not? For higher rank for your product on Amazon, using Amazon PPC model is like a wish coming true, As sponsored ads or PPC As it makes your product More visible on Amazon SERP page which wears showing way far from your competitors. One of the best Amazon marketing strategies. Customers explore the website in search for the product they need. If the customers get their reliable products in just one click which is going save their time as the product information appears alongside their targeted search, all this is possible by using sponsored ads. Here, the seller does not need to pay for the impression that your sponsored ad generates. You only pay when users click your PPC ad It is a carefree transaction for the seller, as they don’t need to pay separately from his credit card it directly deducted from the sale proceeds. The product which is being campaigned by PPC or sponsored post get a Wide range of visibility and impression. A single PPC campaign of your product will get many views within a minimal time span. An element which Amazon offers sponsored products report helps the seller to measure and track their campaign. It lets the seller judge whether their campaign is performing well using the combination of keyword and optimization or not and follow it all the way. You’re able to see what you spent and what it drove regarding your end goals. PPC campaign will help to achieve a vast number of business and marketing goals. These goals range high and may also lead in E-commerce sale. The one who is decagon behind your competitors on jumping into PPC marketing, you can get up and running quickly with a little bit of optimization. This is often a big contrast to starting up SEO efforts, which usually take a lot of time and attention to get the same type of positioning and traffic that Ad Words offers within minutes of launch. You have full control on your PPC campaign with the keywords or placements you choose to target and the also your budget flexibility by setting your budget and bids. Eventually, it drives traffic to your product and makes a sale happen. 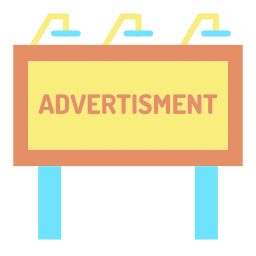 It shows our ads to the right people who are looking for a product which we are selling Amazon PPC is a great way to show off our product and incise the visibility. Onebox Hub will definitely help to earn good profit for your Amazon FBA with accurate Keyword tool and Optimization. I hope this helps! If you have any more questions, we are happy to answer what we can. If you’re curious to learn more – hit me up here or ping us. If you want us to serve you on Amazon PPC Services.